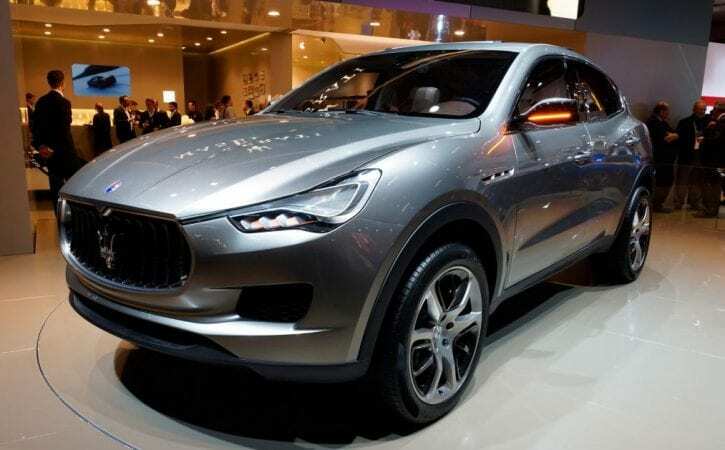 Drawings of the new Maserati Levante have leaked ahead of the car’s reveal later this year. Last year, we learned the Levante would sit on a substantially altered Jeep Cherokee chassis – giving a raised ride height, long wheelbase and wider track. The Levante’s styling was previewed by the Kubang concept at the 2011 Frankfurt Motor Show, so don’t be too put off by this crazy-looking test mule, which is a very early powertrain and chassis evaluation vehicle running the hacked body of a Ghibli saloon. The Ghibli’s body sits on a raised ride height, with a further heightened roofline section to simulate the Levante’s taller silhouette. The high-profle tyres sit under massively flared wheelarches, suggesting a wider track and stretched wheelabse for the Levante, which is due to go on sale in mid-2015.